Tagged Cheeming Boey, Ernest Ng, FaniKatun. 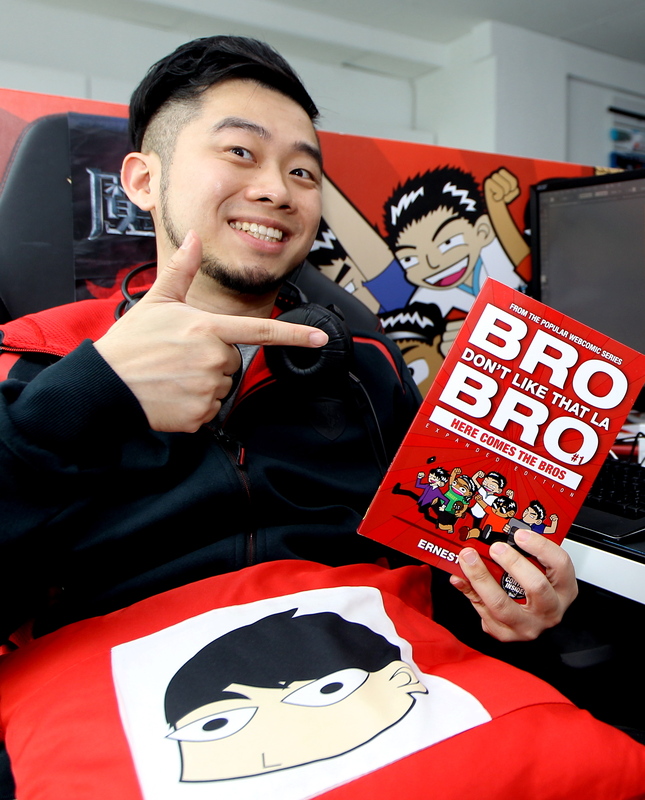 WHEN local comic artist and YouTuber Ernest Ng brought his fledgling webcomic series, Bro, Don’t Like That Bro, to social media, he expected it to do better than it had on his blog. He didn’t, however, expect it to turn him into a veritable social media celebrity. Today, he has over 56,000 followers on Facebook, appeared on a string of viral YouTube videos, and published three books. 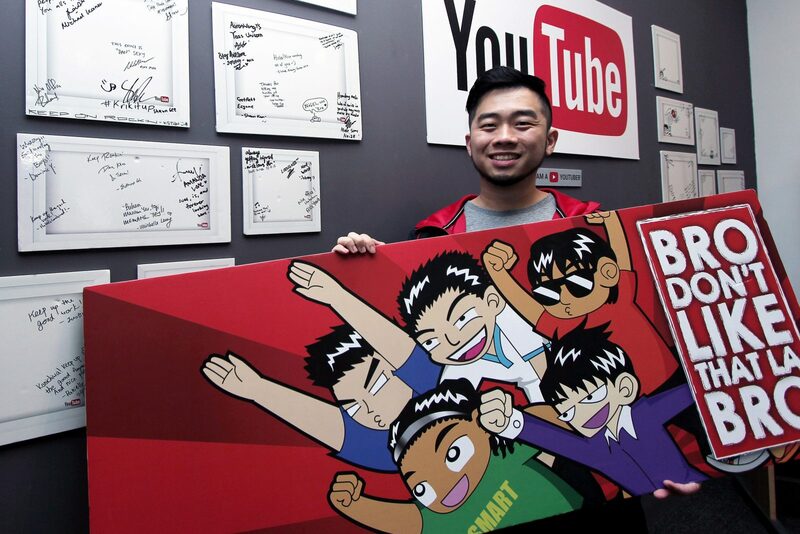 Ng is part of a new wave of young Malaysian webcomic artists who have been slowing carving out a niche for themselves on Facebook with comics that aren’t just funny, but often also thought-provoking – especially on current affairs. “During the time the word ‘pretzel dog’ was in the news, I drew three strips about it,” said Ng. Despite his occasional brushes with online controversy, Ng believes it’s good that webcomic artists keep taking on these issues. “I’ve noticed some Malaysian artists trying to push the limits, which is great,” he said. “Yes, there are artists like Zunar who focus on political issues, but when most artists poke fun at political issues, they don’t mean any harm. Social media has also given webcomic artists a new dimension to their work by allowing their audiences to discuss the issues being tackled. 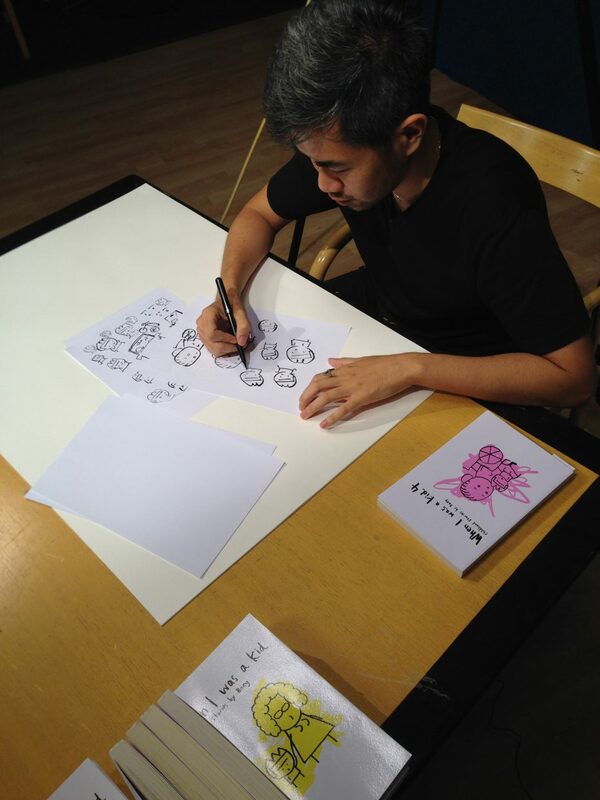 Cheeming Boey, creator of the When I Was A Kid comic series, said the most important thing is that people challenge pre-existing ideas. 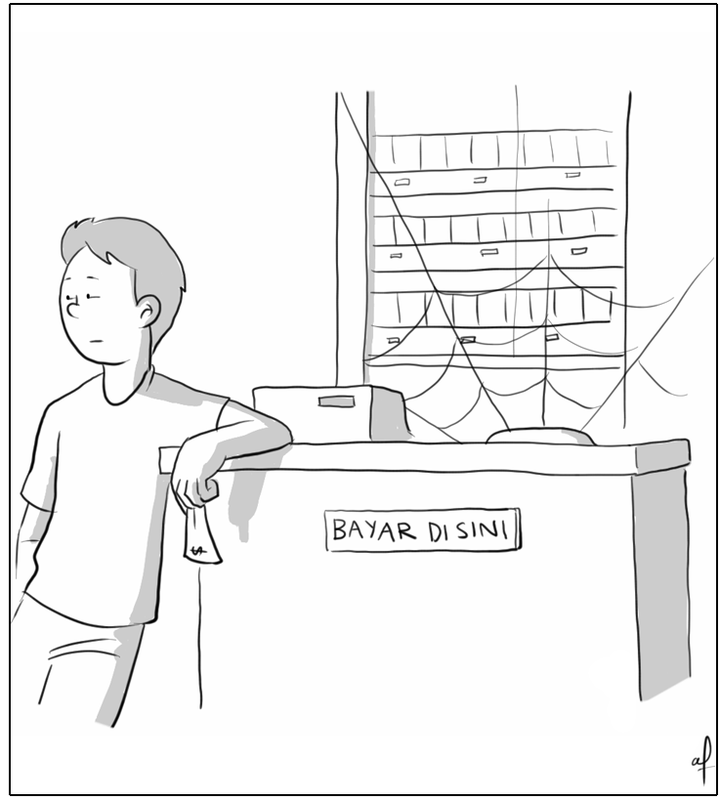 Mohd Norzali Mohd Isa, creator of webcomic Fanikatun, does exactly that – his strip is a hilarious and incisive look at Malaysian life, poking fun at everything from schoolwork to Malaysians’ propensity to post about their private lives on Facebook. “I like to draw two types of comics – funny, and viral,” he said. 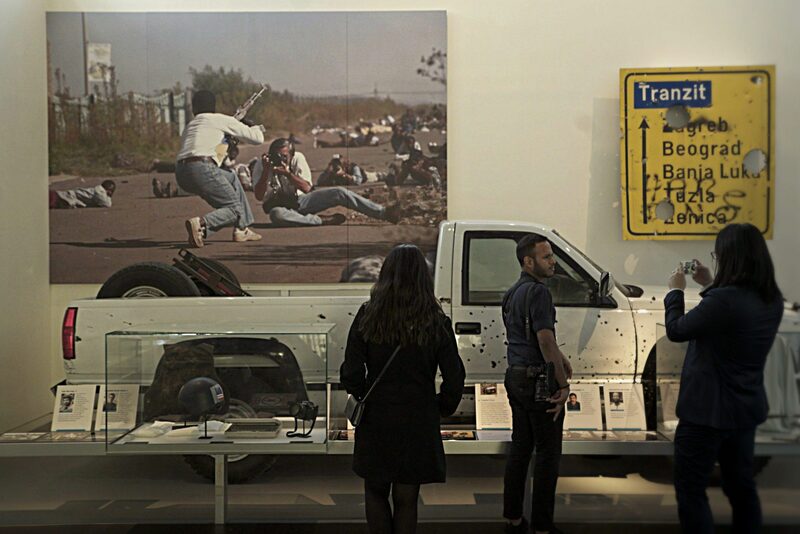 “The viral ones are usually based on current topics and news. But they’ve received a lot of hate comments, saying that I’m being ‘controversial’, even though I try to make it as neutral as possible,” said Norzali, better known as Zalee. Though some of the comments can be really harsh, Zalee never lets them get to him. Despite the inevitable haters, Zalee is pleased to note that he has lost count of the number of webcomic artists now active in Malaysia. “Back in 2008, while using BlogSpot (a blogging platform, now know as Blogger), I found less than 10! Now everyone is on Facebook and it’s hard to keep up with all the new artists and comics popping up,” he said. Gone are the days when comic artists had to rely on blogging or approaching publishers to get their work noticed – Facebook and Twitter have completely changed the industry’s landscape. Both Ng and Zalee have managed to reach both a local and international audience thanks to their Facebook pages. “I started releasing my drawings in 2010 on BlogSpot, but it was a real struggle to build a fanbase,” Ng said ruefully. The humour in his comic series – which revolved around life with his ex-housemates – was perfect for local audiences, but without a platform to reach out to those readers, he was stuck. Enter Facebook. Social media also worked wonders in helping Zalee reach the local audience. Like Ng, he had gone the BlogSpot route – but noticed he only got views from Europe and the United States. One of his drawings was even printed in Mexico and in Germany! In order to reach out to the Malaysian crowd, he switched both platform and language, publishing his work in Bahasa Malaysia instead of English. “I only started building a solid fanbase when I switched to Facebook in 2014, when I saw it had exploded in popularity among webcomic artists,” said Zalee, whose Facebook page (fb.com/fanikatun) boasts over 30,000 likes. But for Zalee, it’s not just about getting the word out there, he wanted to go viral – something almost impossible on a blog platform. If you’re low on funds and wanting a book deal, Ng said social media helps save money when trying to promote oneself. “I think it’s a more cost-efficient way for new artists to showcase their work, instead of spending money printing and sending out your work to publishing companies to try and get printed,” said Ng. Boey said social media also helped cut out the middleman, which increased profit for the artist. “The fewer third parties you have to deal with, the more money you’ll make,” he said. Zalee agreed, saying that while online marketplaces like Fiverr.com or Freelancer.com helped increase visibility, the sites also took a cut of the profit. “If clients come via an online marketplace the price may be different as they add additional charges for both the seller and buyer,” he said. “Let’s say I charge US$50 (RM221) for my work – I’ll only receive US$45 (RM199) using them. Charges vary with each website, and you have to be mindful about your competitor’s prices too,” said Zalee. However, if you’re thinking about taking the plunge, Zalee recommended having a fulltime job first before going into webcomics full time. Ng worked full-time for three years and saved up before quitting to focus on webcomics. The next step for all these Malaysian artists would be to achieve international recognition, but that might be a bridge too far. The artists we spoke to said there’s just not enough originality here. “The whole reason why any artist becomes successful is because he or she was different. If you follow and emulate them, it hurts everyone in the long run,” said Boey. Ng added that Malaysian artists are still struggling to create a unique, recognisable identity. Boey said the key to comic success was not to follow trends or other popular artist, but to be original. He’s also a firm believer in having content that teaches a positive lesson. Looking at Bro, Don’t Like That La Bro, When I Was A Kid and FaniKatun, it’s easy to see the prevalence of Malaysian humour and culture which has endeared them to the public. However, since social media is so borderless, Boey cautions against making it too local, which would alienate international audiences. “When you’re too local, you can’t branch out internationally. To make a killing fast, you can approach the humour that’s appropriate locally. But it’ll burn out in a few months, and then can your book sales still be good?” he said. Sales aside, Boey said the content should be timeless, no matter how modern the language.